Honesdale, “The Birthplace of the American Railroad,” is located in Wayne County, PA, about 32 miles northeast of Scranton. This town, in the state’s coal mining region, exhibits different aspects of life throughout the era of the coal mining boom. 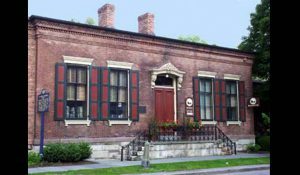 At the Wayne County Historical Society you will be given a peek into the lives of the inhabitants of Honesdale. You can embrace its old-time charm in the walkable downtown shops. While aboard the historic coal train, the Stourbridge Line, which travels along the Lackawaxen River, you will enjoy a box lunch and listen to a narrated tour. Then you’ll travel to the Dorflinger Glass Factory and Museum. Here you will be treated to a docent-led tour of the history and craftsmanship of Dorflinger Glass. 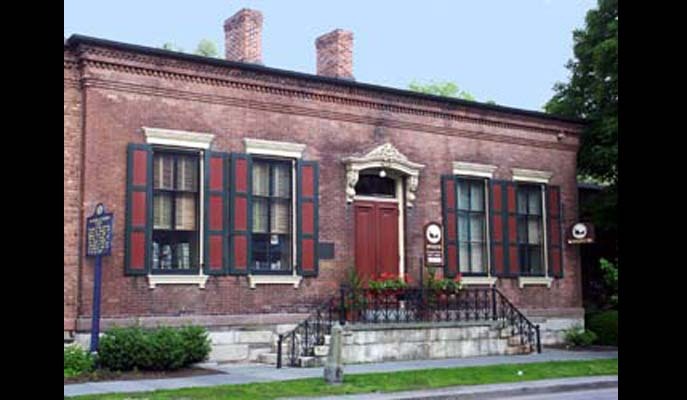 You’ll learn about the intriguing process of glassmaking and view examples of the china and glassware that had been on the tables of U.S. presidents and wealthy families of the 1800’s. Cost includes transportation, guided tour, entrance fee, lunch, snacks and gratuities. 7:30 a.m. to approximately 7:30 p.m. Bus leaves Cheltenham High School promptly at 7:30 a.m. PLEASE NOTE……IF YOU ARE SIGNING UP FOR A COURSE OR TRIP THROUGH PAYPAL, AND YOU ARE REGISTERING FOR MULTIPLE PEOPLE, YOU MUST INCLUDE THEIR NAMES IN THE INSTRUCTIONS TO MERCHANT SECTION. CTAS CANNOT COMPLETE THE REGISTRATIONS WITHOUT THE NAMES OF ALL THOSE WHO ARE SIGNING UP.